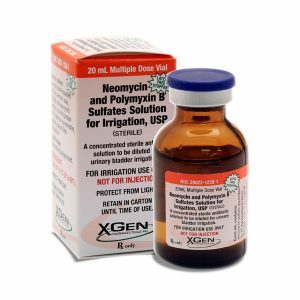 Neomycin Sulfate equivalent to 40 mg neomycin base. Please see product packaging and package insert for complete expiration date and storage requirements. Store in refrigerator between 2-8°C (36-46°F).